This fortnight at the International Art & Soul Challenge our challenge is CAS + Blue. 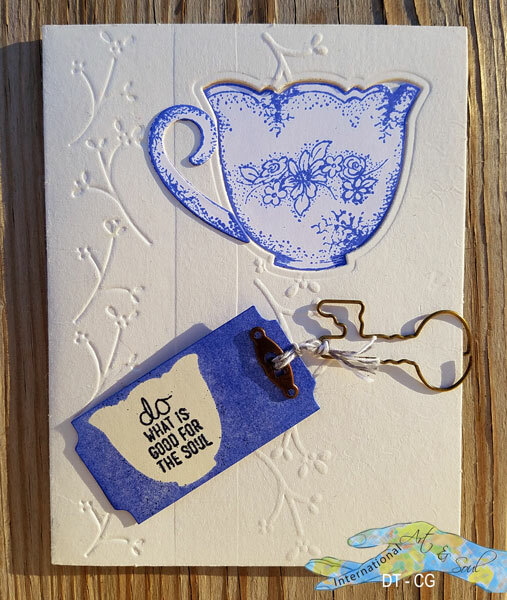 The teacup elements were made with a Heartfelt Creations die/stamp set. The set was given to me by a friend who has since passed away, so I always think of our good times together when I use it. Also, her favorite color was blue! I had embossed this card base some time ago, but never used it. I die-cut the aperture and decorated the inside. Everything is inked with Blueprint Sketch distress ink. The sentiment on the inside is a rubber stamp by Repeat Impressions. Update: I was the winner at A Place To Start! Hi, CG, thanks so much for stopping by A Place To Start and leaving such a beautiful project! 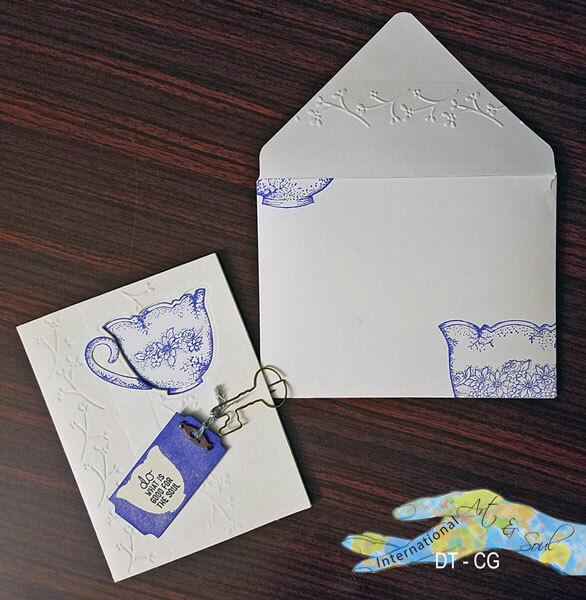 Your envelope is so cool! I like the embossed flap and the split stamped cup, very nice. 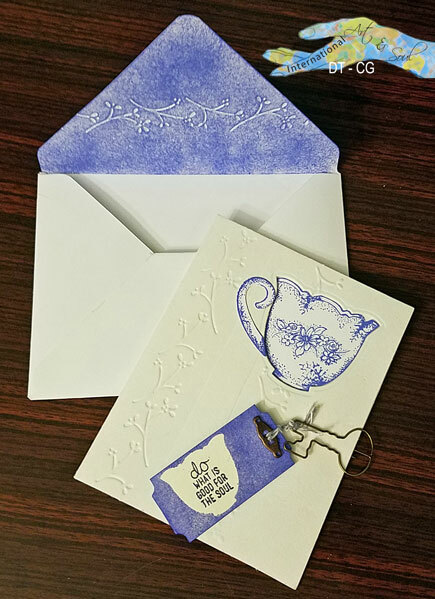 Your card is unique and beautifully composed and executed. Thanks for supporting our new challenge. We hope to see you again very soon! Gorgeous - love how everything including a matching envelope was created. Fabulous! Wow! 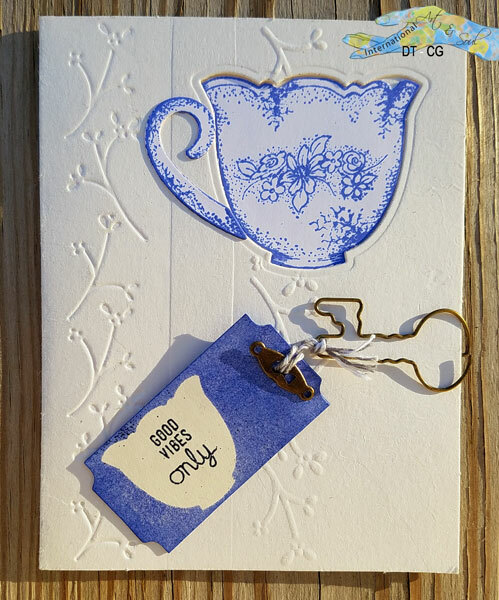 Love the blue and white combo for this gorgeous card! Thanks for joining us at STAMPlorations Theme & Sketch challenge! Congrats on your win at A Place to Start. 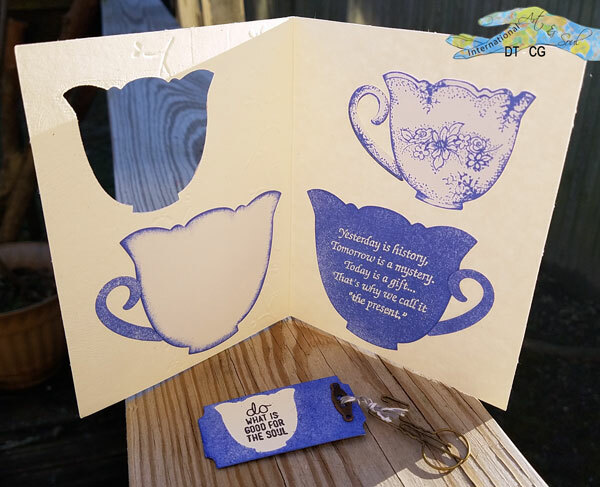 I love Heartfelt Creations, so how did I miss this tea set. So beautiful.